Posted October 11, 2017 by McIvor Farrell & filed under News. Posted May 18, 2017 by Padraig McCullagh & filed under News. Posted May 9, 2017 by McIvor Farrell & filed under News. Posted January 12, 2017 by McIvor Farrell & filed under News. Posted December 15, 2016 by McIvor Farrell & filed under News. 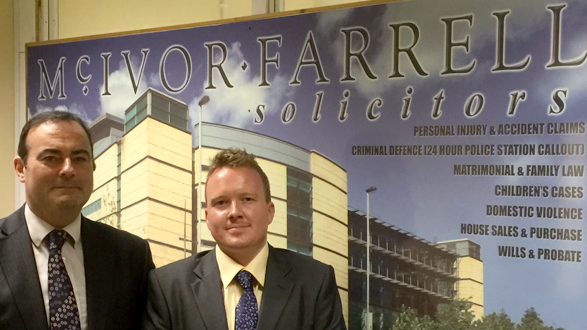 Solicitor Advocate Paul Farrell received high praise from The Crown Court in a recent case involving the smuggling of drugs into prison. 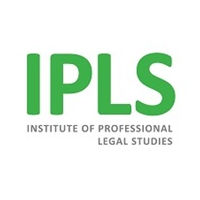 He was able to draw on relevant case law and strong mitigation on behalf of the Defendant which led to the Sentencing Judge commenting to the Defendant in passing sentence “Bringing drugs into the prison must in all but the most exceptional of circumstances attract a custodial sentence. However, Mr Farrell did a splendid job and an exceptional plea on your behalf and you should be eternally thankful to him for that.” The Defendant avoided custody in this particular case. Posted December 6, 2016 by McIvor Farrell & filed under News. Posted November 30, 2016 by McIvor Farrell & filed under News. Raymond McCord comes before the Supreme Court by way of a reference on a ‘devolution issue’ made pursuant to paragraph 9 of Schedule 10 of the Northern Ireland Act 1998 [Northern Ireland (‘NI’) bundle – N-3] by the Court of Appeal in Northern Ireland with the consent of the parties on 18 November 2016. This is the Applicant’s case in support of answering the referred question in the affirmative. Posted November 3, 2016 by McIvor Farrell & filed under News. We welcome today’s decision in respect of the cases before the Divisional court of England Wales. We are of the view that this is a significant decision, which will no doubt have systemic ramifications. We are currently examining the written judgment and at this stage we believe that it is supportive of our case. Mr McCord’s case is next listed before Belfast High Court on Tuesday 8 November 2016. We understand that the Government’s statement in respect of today’s High Court decision will be announced on Monday. Commons leader David Lidington says the government will make a statement to MPs about the High Court ruling on Brexit on Monday. During business questions, he said: “I can confirm to the House that it is the government’s intention to appeal against today’s judgment from the High Court. “We are, as the House is aware, in a situation where we have this judgment today and a very little while ago a judgment from the High Court of Northern Ireland which came to a completely different decision on the same subject. He added that the government will give a statement to the Commons on Monday about the ruling and the appeal. 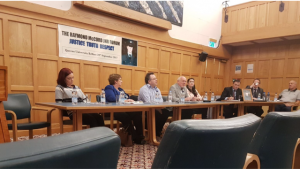 Mr McCord’s case is that the British Government ceded some of its sovereignty to Northern Ireland through the enactment of the Good Friday Agreement and the Northern Act. Moreover, it is pleaded that the people of Northern Ireland are sovereign in relation to Constitutional change and only through the mandate of the people of Northern Ireland can Constitutional change come about. Clearly, Senator George Mitchell agrees with the core argument that has been made in Mr McCord’s case. Posted October 31, 2016 by McIvor Farrell & filed under News. On Friday 28 October 2016 Belfast High Court delivered judgement in relation to Mr McCord’s case and that of the cross-party group of politicians. The court did not find in favour of either case. We agree with the court’s view that the issues raised in Mr McCord’s case are matters for the highest court. In this regard, the fact that the court did not find in our favour was of no surprise to us. 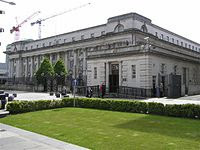 The High court in Belfast is bound by precedent (that is existing law). No single precedent exists that categorically proves or disproves Mr McCord’s case. Therefore, it can be said that Mr McCord’s case is complex and ground-breaking. We have always been of the view that this matter must be put before the Supreme Court in London, as the Supreme Court is not bound by Precedent and has the power to make new law. Provisional dates have been set for the Supreme Court in early December. Posted October 27, 2016 by McIvor Farrell & filed under News. Mr McCord’s case and that of the cross-party group of politicians are listed for judgment tomorrow at Belfast High court at 10am. This is highly significant as judgment will be handed down in Northern Ireland before London. Therefore, there can be no doubt that the world’s focus will be on Belfast High Court tomorrow morning. 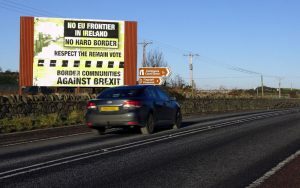 Mr McCord’s case is that there can be no Brexit for Northern Ireland as the people of Northern Ireland are sovereign in respect of Constitutional change and this is based on the text of the Good Friday Agreement and the Northern Ireland Act. Thus far, Theresa May and our own First Minister have stated “Brexit means Brexit” but we say that this statement is misconceived. Mr McCord is highly disappointed that our First Minister has adopted a submissive attitude and is unwilling to stand up for what the people of Northern Ireland have voted for. To say that Brexit should proceed, even though the people of Northern Ireland did not vote for it, is unconstitutional and plainly wrong. 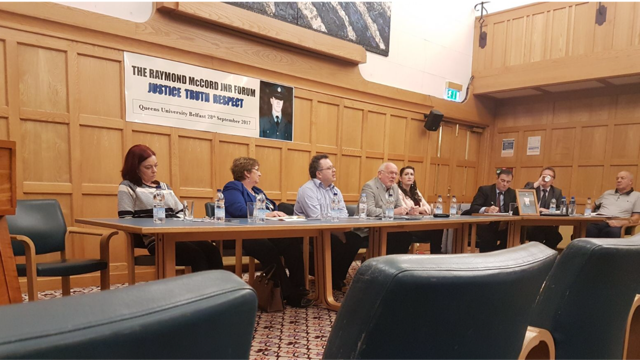 Mr McCord is of the view that, as no-one else is prepared to stand up for the views of the people of Northern Ireland, it is up to his case alone to determine Northern Ireland’s future. He says that we are fortunate to have a legal system in Northern Ireland whereby a citizen is able to challenge the state through judicial review proceedings. If it wasn’t for this right, there would be no hope whatsoever for Northern Ireland, as our politicians have not done anything to stand up for the majority vote. 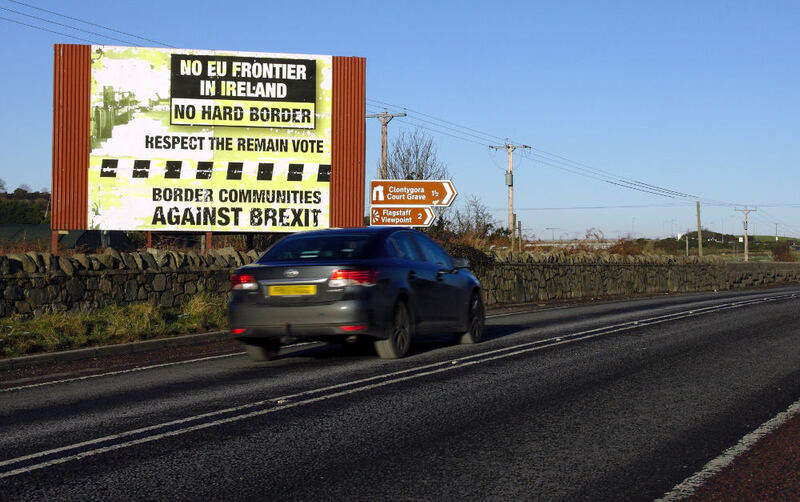 In short, we say that the people of Northern Ireland have a veto in respect of Brexit. Scotland, England and Wales can Brexit if they so wish but the majority vote in Northern Ireland was to remain. Mr McCord’s case is the only case which says that Northern Ireland cannot Brexit. The other cases before London High court simply say that Article 50 can only be invoked after Parliamentary scrutiny. Ciaran O’Hare, instructing solicitor in this case, is confident in our argument and we look forward to receiving judgment tomorrow.